I've shared before with y'all how I've had weird skin issues. I'm still not 100% sure if it is caused by fragrances or by whatever is it soaps these days. Regardless, I've eliminated most non-natural smells from our home (well I do have one favorite perfume I'll share another Friday!!) as well as store bought soaps. I make my own hand soap, use Ivory Dishwashing liquid (watered down even! 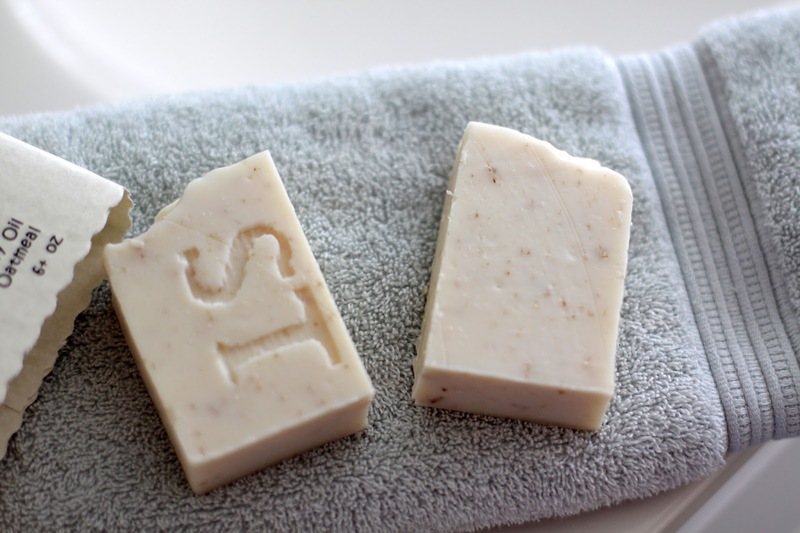 ), I "wash" my hair with conditioner, and I found the BEST homemade soap that is local to me!!! 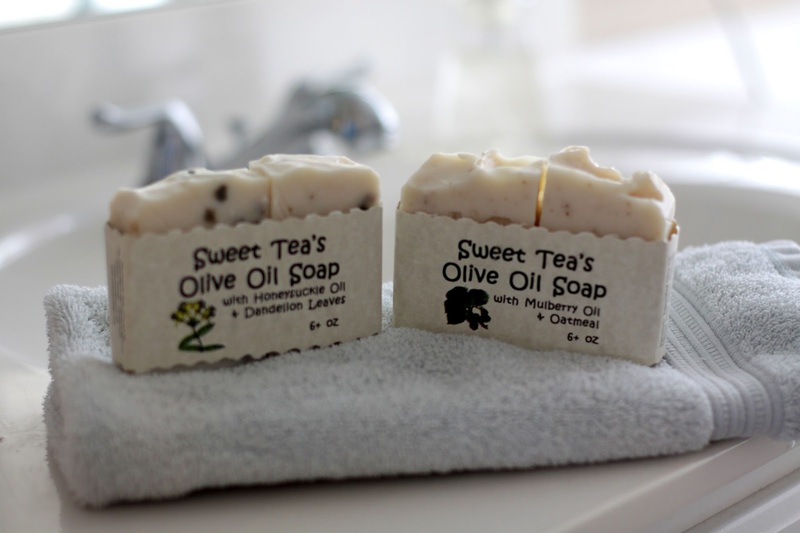 Sweet Teas Soaps & Stuff is WONDERFUL!! I've been buying their soaps for several years now and have had ZERO issues with my skin cracking or getting super duper dry. YAY!!! Their bars are HUGE so I always cut them in half before I put them in the shower. I wipe them on my poofy (what do you call them?) and they suds up nicely!!! So if any of y'all are looking for some quality soap that won't bother your skin, try my FAVORITE- Sweet Teas Soaps!!! !